but it happens on occasion. With a custom 404 error page, you can add several features on the 404 error pages that make them more user-friendly and interactive. You can customize the page by giving the reader the option to contact you, to go to the home page, and more. 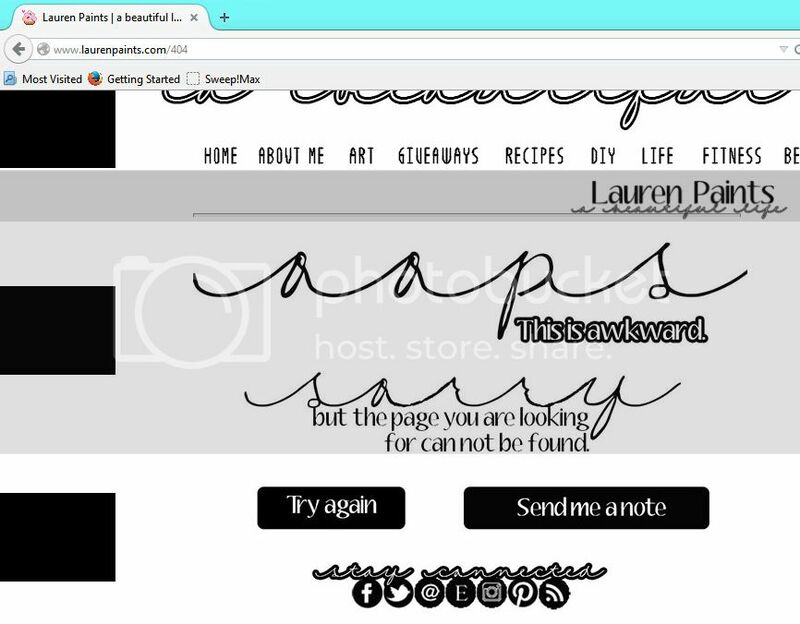 I decided I wanted to spice things up so I'm changing how my error page looks. 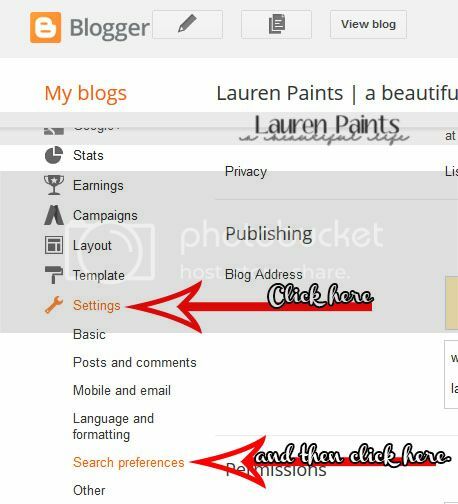 I figured I'd write up a simple tutorial to help my fellow blogger friends out if they want to do the same. Follow the steps below to make your own custom 404 error page! 2. 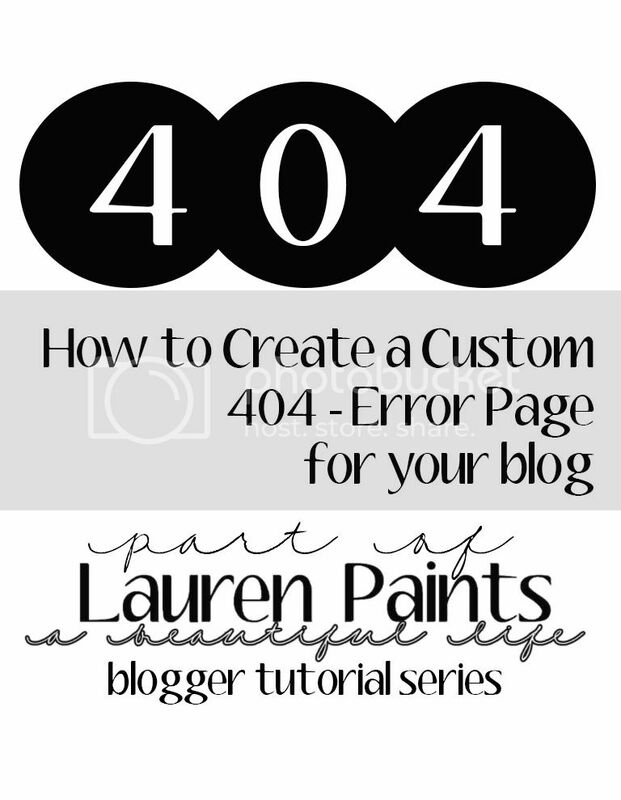 Scroll to find "Custom Page Not Found"
custom design a graphic, the possibilities here are endless! Now click the HTML tab in the corner and Select all + Copy! I custom designed a graphic in photoshop, uploaded it onto photobucket, then used image mapping to make the links clickable. 4. 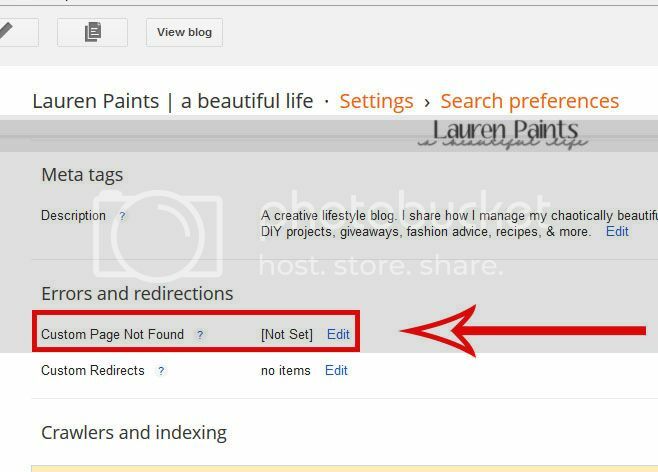 Paste the code into the "Custom Page Not Found" box and save. Just type "YourSite".com/404 into your address bar. Click here to check out my error page in action.